Calling for all the ARMY out there! 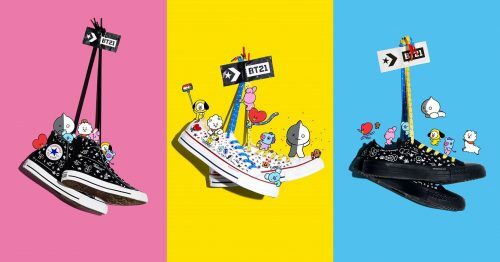 Here comes another BTS’s major brand deal – the Converse X BT21 collaboration which will be released in Korea, Hong Kong, Taiwan and China on July 27th! 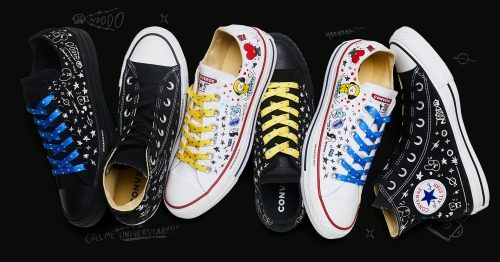 The collaboration offers a limited-edition line of Chuck Taylor All Star sneakers, whose design and creation has been strongly influenced by the BTS members. The creative sneakers would come in a BT21 design shoebox with 8 customized badges, shoelaces and even a BT21 labelled tote bag! This is definitely a must-cop for fans of BTS, you can score the limited sneakers from BT21 Official Naver Smartstore or Line Friend Korea Online Flagship Store. Sign up with us and get access to our Korea warehouse, and we will bring the kicks back to you – $5 for the first pound, and $4 for the following pounds.